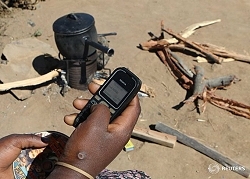 Reuters partners with ONEm to bring news to those without smartphones. London, August 2016: Reuters has announced that it is partnering with mobile technology company ONEm to bring Reuters news content on mobile to millions of people around the world who do not have access to mobile data or smartphones. Users of the service will be able to access Reuters top news stories as well as business, entertainment and sport news. Text content will be made available in English, French, Arabic, Spanish, Russian, German and Portuguese, while audio content will be made available in English, Arabic, Spanish and Russian. ONEm have created a global ecosystem for mobile operators which utilises mobile voice and SMS networks in new and innovative ways to create an new internet-style user experience for all mobile users, without the need for internet connectivity or a smartphone. 30 mobile operators have already committed to deploy the ONEm service in the coming months. SMART Group operating in Tanzania, Uganda and Burundi have recognised the major positive impact this will have on enhancing their subscribers’ mobile experience and ONEm are on target to exceed 30 million subscribers by the end of 2016. Christopher Richardson, CEO of ONEm Communications, said, “With ONEm's interactive SMS technology Mobile Operators can now offer a way to search, filter and display content. We are delighted to team up with Reuters to offer the three billion unconnected people up to the minute global news available in nineteen different languages over ordinary SMS”.